The next day I put on a dry rub that harkens back to that 16th century English folk tune – as the main ingredients are sage, rosemary and thyme. The parsley is added as a final step while the meat rests. 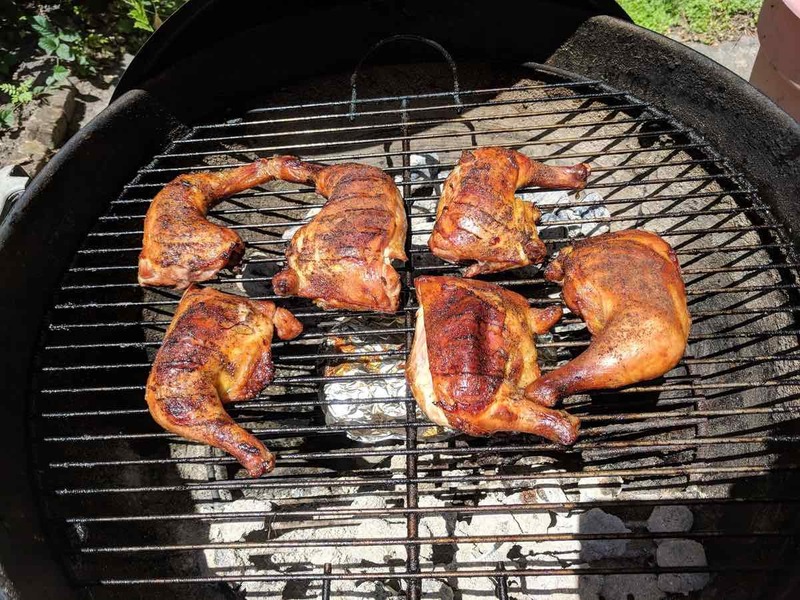 I grilled my chicken over indirect heat for about an hour. The chicken can also be roasted in the oven at 375 degrees F for 45 minutes to an hour. Combine the first 7 ingredients in a medium bowl and mix well. Sprinkle over both sides of the chicken. Store any unused in an airtight container. 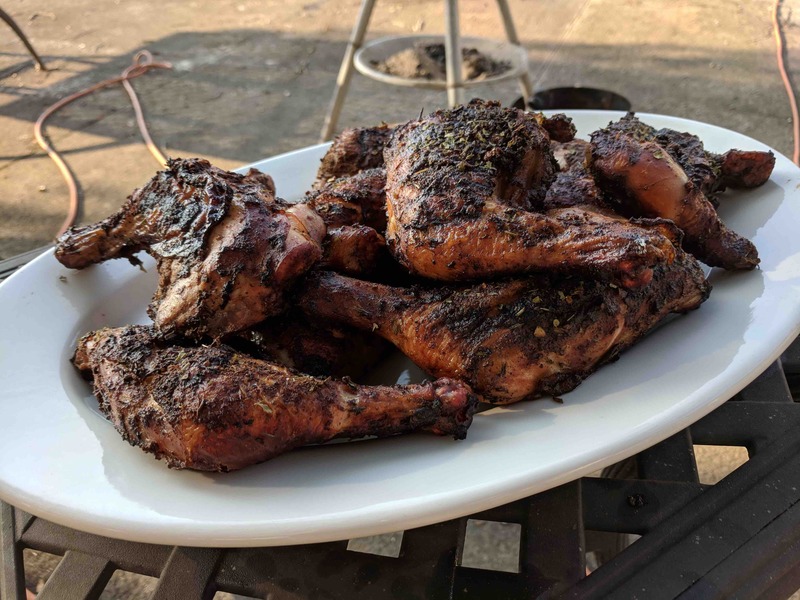 Grill or roast the chicken to an internal temperature of 165 degrees F. Sprinkle on the parsley after the meat comes off the fire, while it rests for at least 10 minutes before serving. 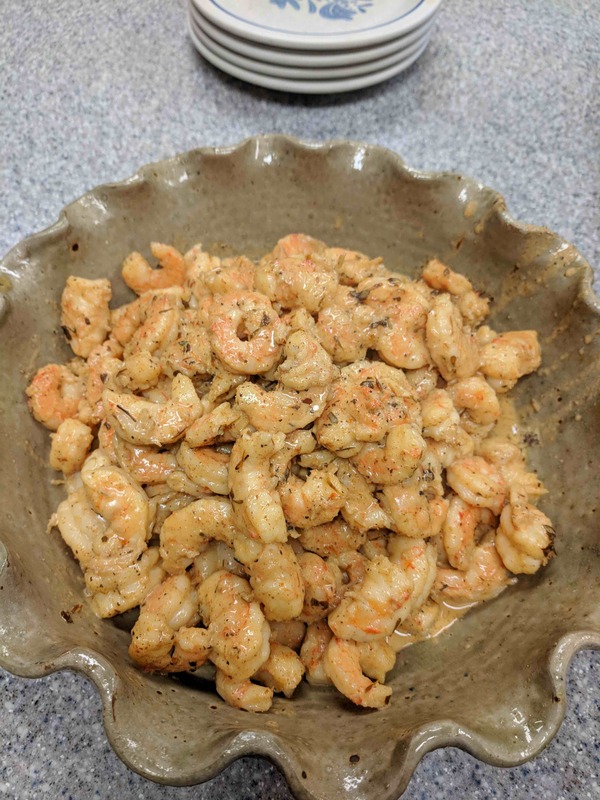 and, the Cajun Seasoning in my Cha Cha Cha Cajun Shrimp. 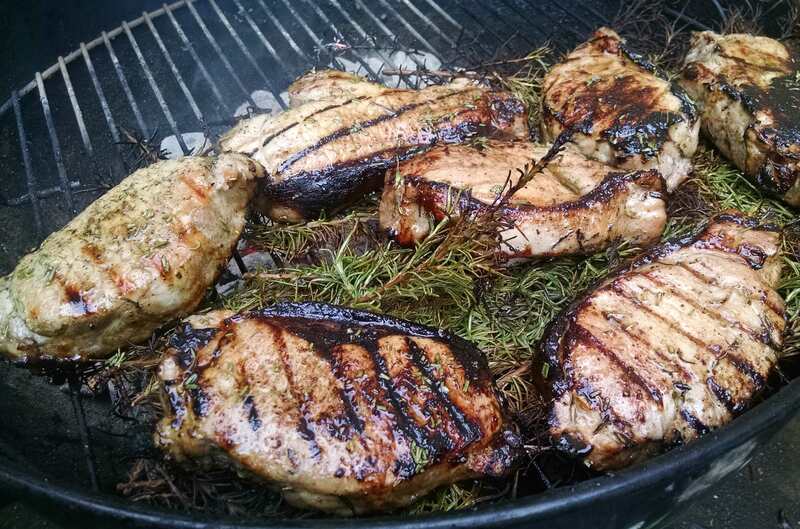 Now it is only fitting, I use the Adobo seasoning on more grilled chicken. It is a little spicy, so I needed to make a rub with brown sugar and salt first. Steep the tea until good and dark. In a large pot mix the tea with the sugar and salt. Stir until the sugar dissolves. Add in additional water and stir to mix. Place the chicken in the brine and refrigerate for 24 hours. Mix the rub ingredients together and set aside in an airtight container until ready to use. Remove the chicken from the brine and pat dry. Place on a rimmed baking sheet and coat with the dry rub. Cover loosely with plastic wrap and return to the refrigerator for 4 to 8 hours. Prepare your grill for indirect grilling. 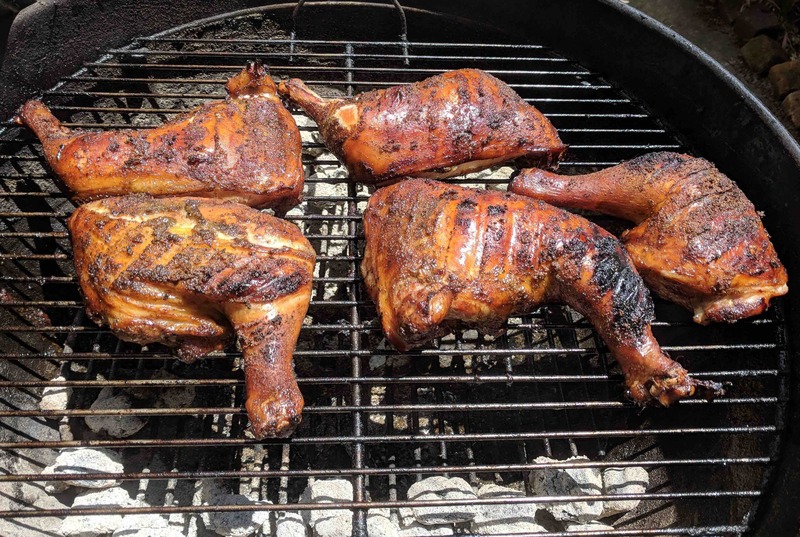 Remove chicken from the refridgerator and let sit on the counter until the coals are ready. Grill meat side down for 15 minutes, then turn over and grill until done about 40 to 50 minutes more. 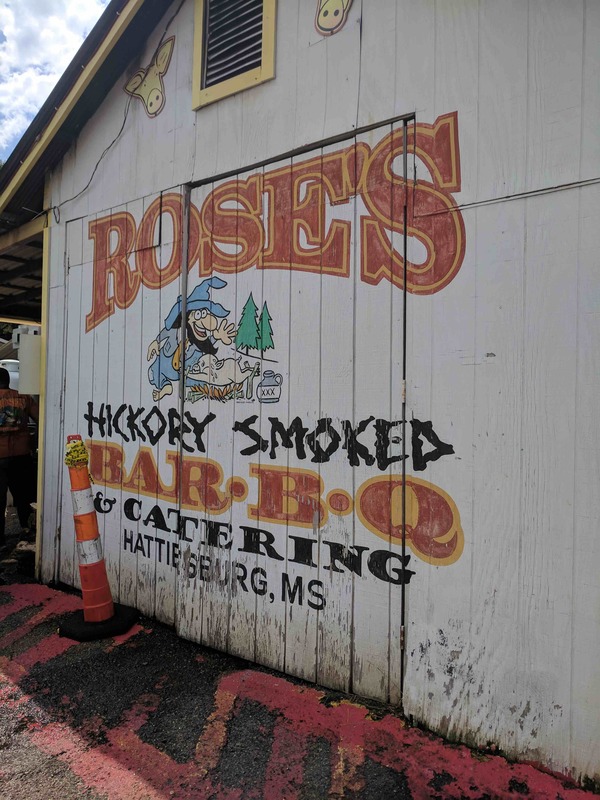 South of Hattiesburg, in a gas station on Highway 49 is Rose’s Bar-B-Q (here is the link to their Facebook page, as it looks like their domain has expired). 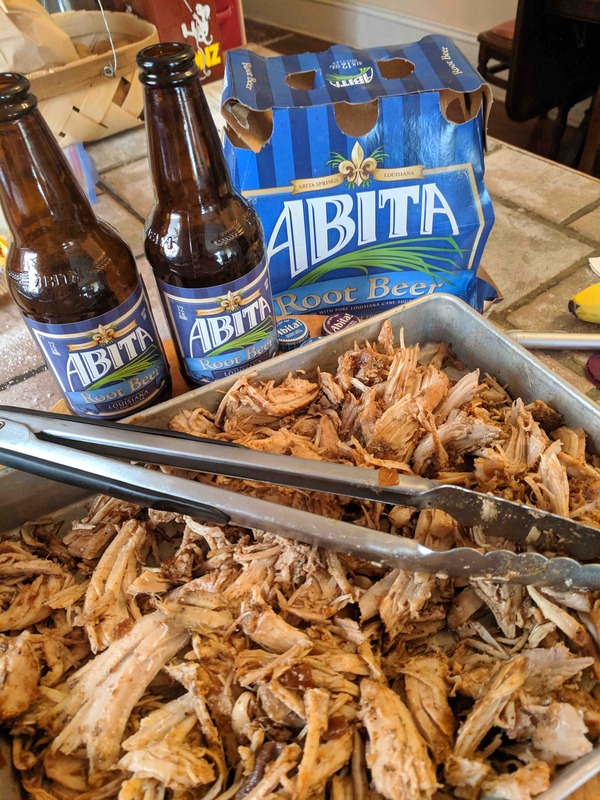 We had heard about it from friends and it was on the way back to New Orleans. The parking lot was packed with pick up trucks and sheriff vehicles. There was a heavy scent of hickory smoke in the air, so we pulled up on the curb and went inside. 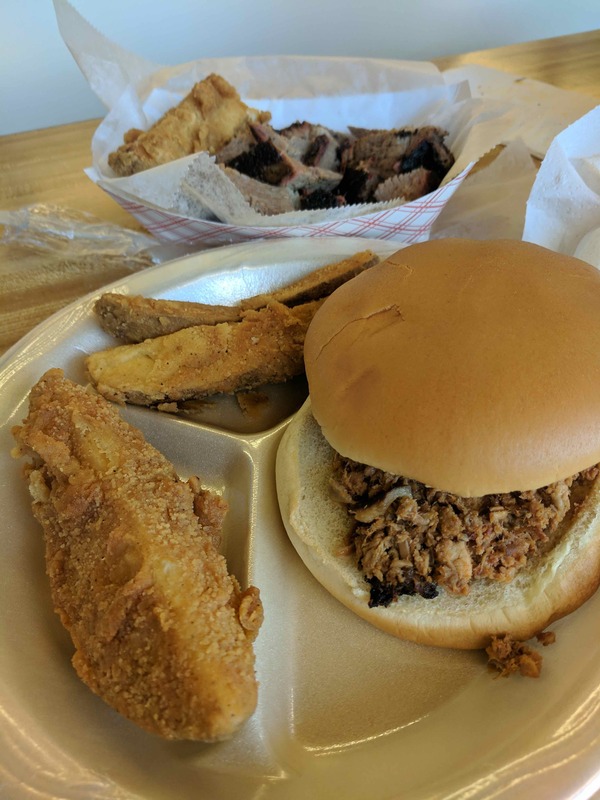 We bought a pound of the smoked brisket, some chicken on a stick and potato logs. The chicken on a stick was a first for me – chicken, dill pickles, potatoes and onion speared on a stick, covered in batter and deep fried. Not sure I’m a fan but I can now say I’ve eaten this unique Mississippi delicacy. 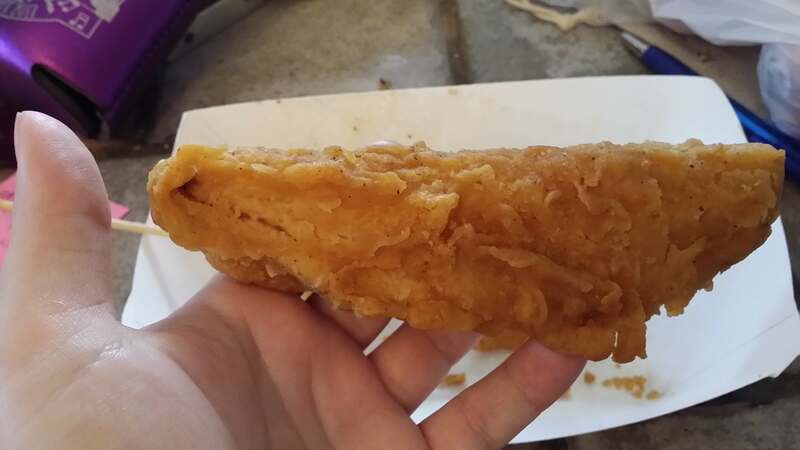 The potato logs were like wedges on steroids. While the batter could have used a little more seasoning, the potatoes were incredibly fluffy. The brisket was very tender, with a lovely bark. 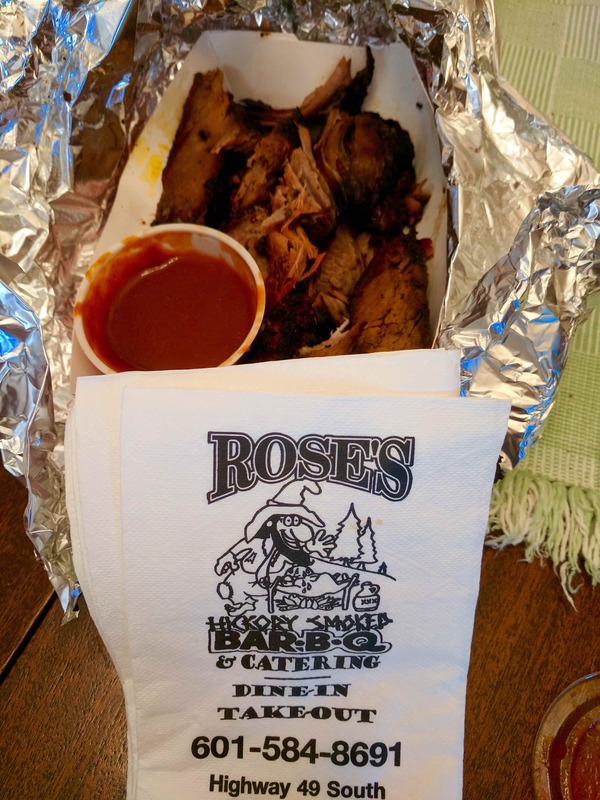 While it comes with their house made, very good barbecue sauce, the meat was so flavorful, it didn’t need it. We just ate it with our fingers, forgoing the bread. The prices were reasonable and they got the food to us fast, so we were back on the road in no time. 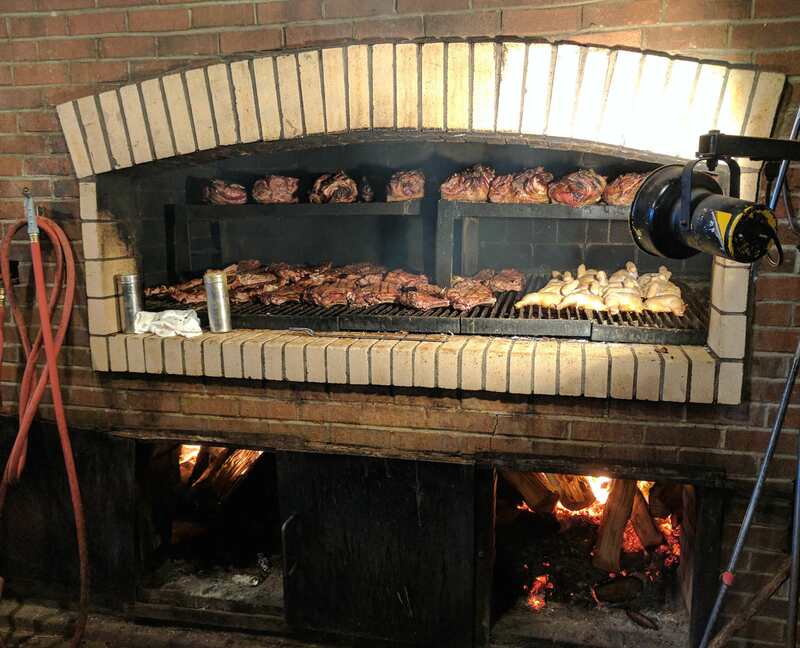 They have even more on the menu than we were able to try (ribs, chicken – bbq and fried, pulled pork, etc), so we’ll be swinging back by soon. Swung back by for more brisket on September 29th. 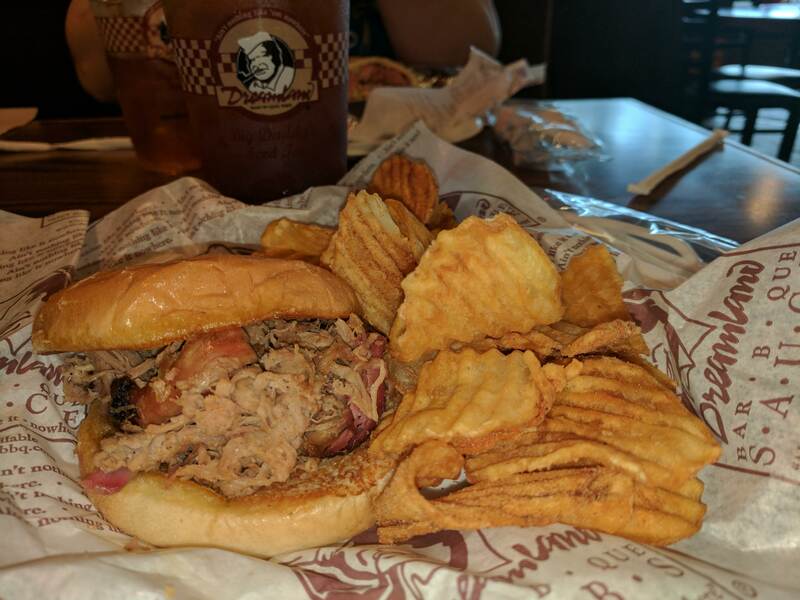 Also got the pork sandwich (a little too much sauce but piled high with meat) and more potato logs. Still worth the trip! 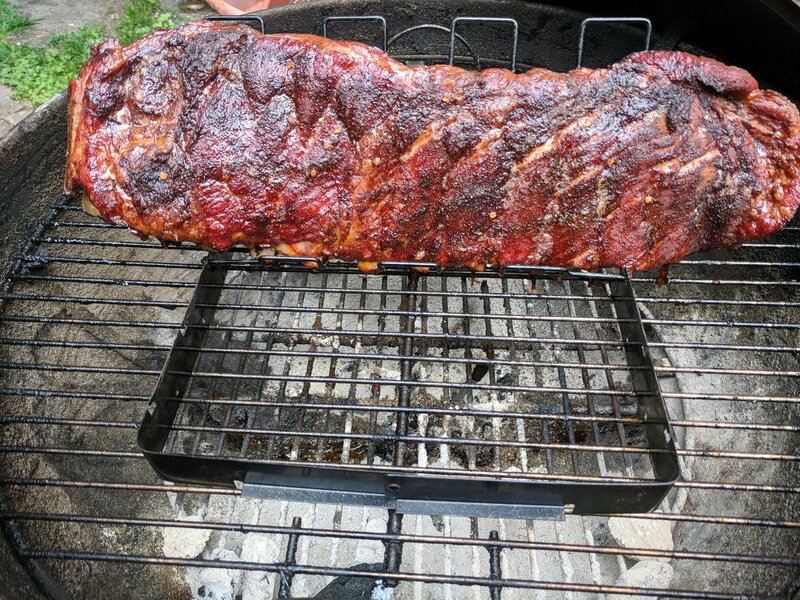 I think I’ll be trying the ribs next! This is a milder take on a dry rub and it is perfect for ribs. 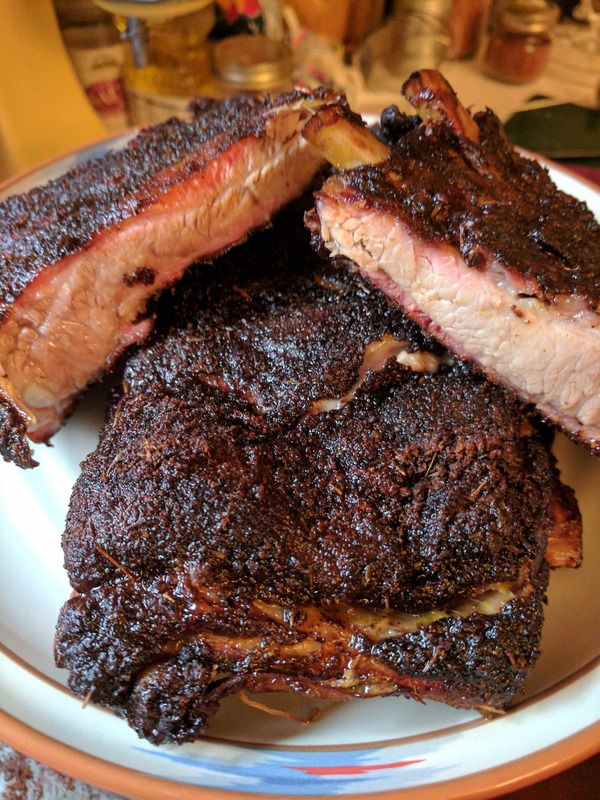 After giving them a good rub, I grilled the ribs on my Weber over indirect heat for two hours with some hickory chips before moving them into the oven for three hours at 225 degrees F.
Combine all ingredients. Store any remaining in an airtight container. Michelle had the rib tip wrap with jalapeño slaw. 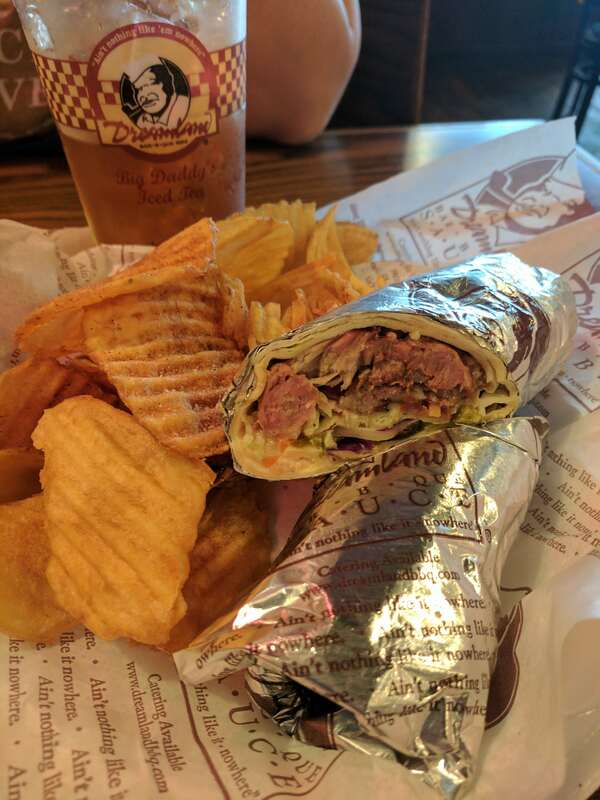 Very good combination of tender meat and spicy slaw. The prices are very reasonable and the staff is super friendly and very fast. Give it a try next time you’re nearby or call for them to ship you some directly.